The reality of the 21s century is a hyper-reality of propaganda and illusion constructed by the news media. Events, information, ideas, and images are filtered through the media, packaged, and delivered to our screens where we enter into a state of seduction, hypnosis and submission. 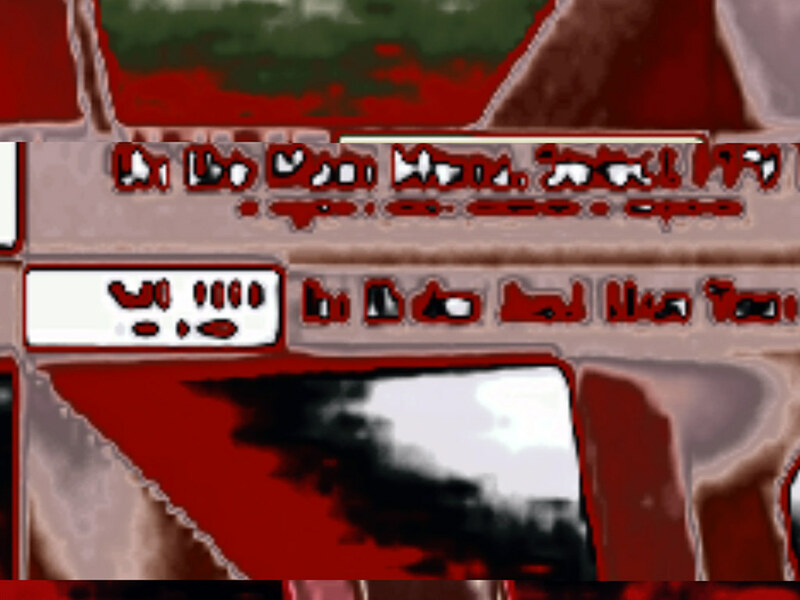 This state of affairs is only compounded in times of crisis such as we have experienced since 9/11: the use of media and the manipulation of its content must be understood as a breakdown between credible, meaningful communication and the frightening distortion of reality that confronts us today. 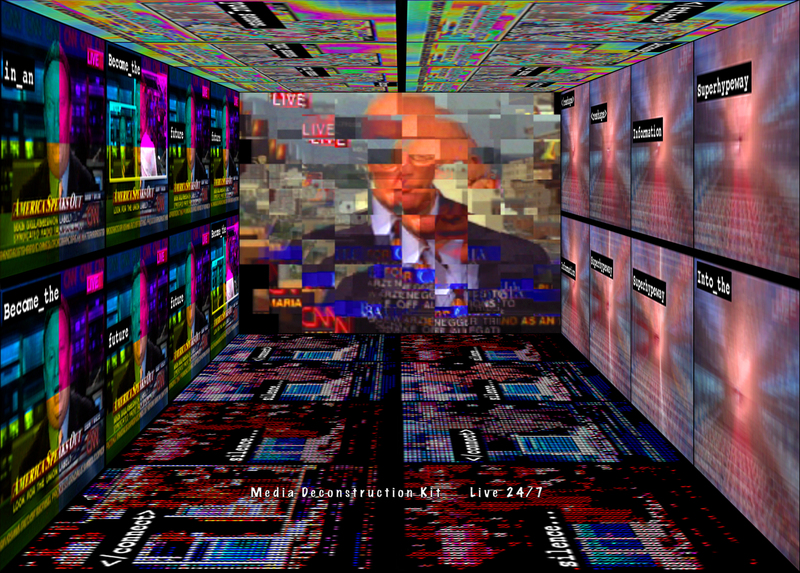 As a form of resistance to the systems of control that govern broadcast television and its propaganda, the Media Deconstruction Kit (MDK) reconfigures, disorients, and amplifies the disinformation of broadcast media into an immersive, sensorial, multimedia experience. 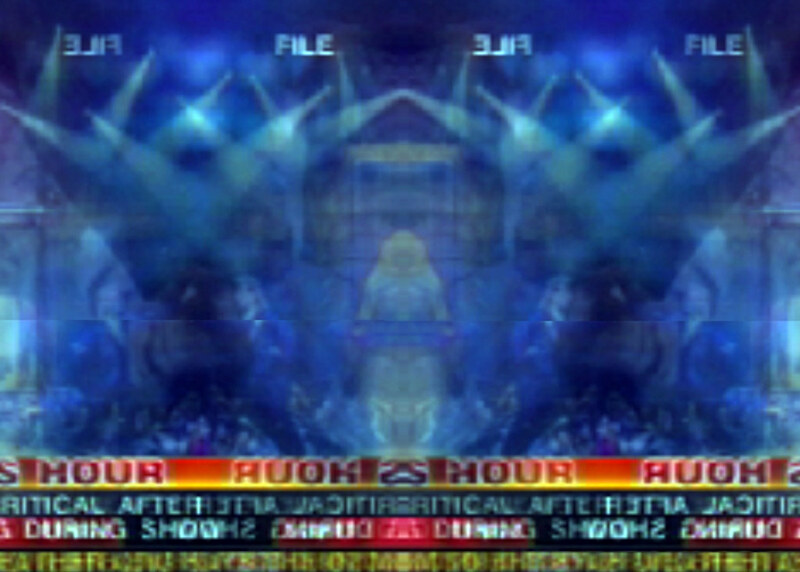 The MDK scrambles live news broadcasts and puts the altered matter out on the Net as a revolutionary weapon. We appropriate with magisterial fearlessness, transforming Fox News and CNN into magical imaes, and bring about the systematic reordering of the senses through the deconstruction of live, broadcast media. We divert mass media from its current roadmap to manufactured similitude through an hallucinatory recycling of composted media content. The Media Deconstruction Kit is a collaboration with software engineer Wesley Smith. The work debuted as a live performance at the Johns Hopkins University Digital Media Center on October 26, 2003. 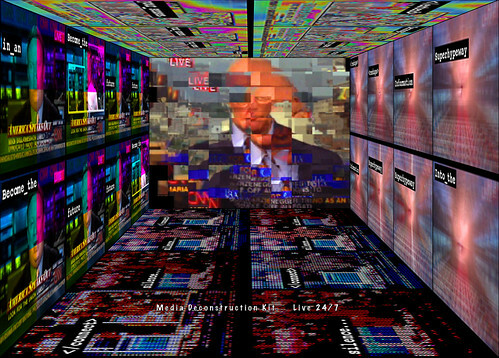 It was then incorporated as an installation in the Experimental Party DisInformation Center, LUXE Gallery, New York City, August 21, 2004 – September 4, 2004. The immersive video wall designed as a portal through which to watch 24/7 live manipulation of broadcast news. 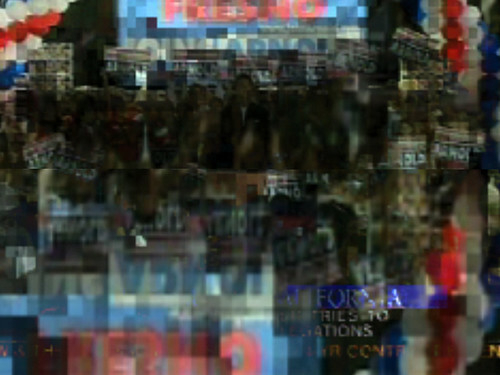 Manipulation of broadcast news into a fragmentation of its original form. 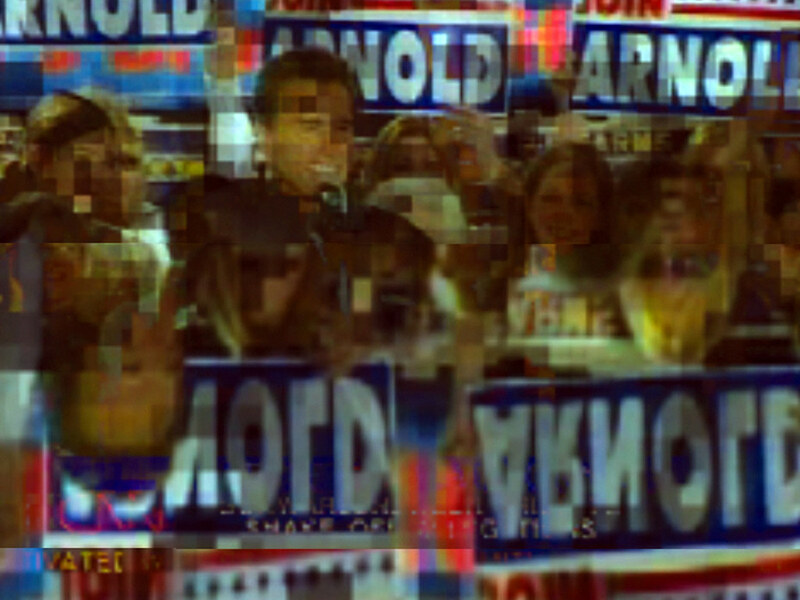 Arnold Schwarzenegger recycled in his campaign, movie-star role as political candidate. The foreboding nature of the one-to-many paradigm of broadcast media. 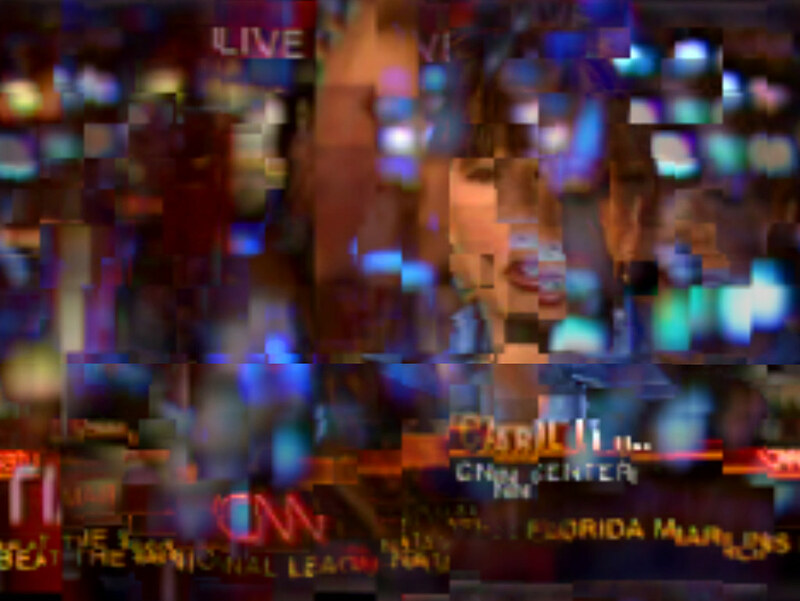 Cable news as a spectacular rendering of abstraction and fractured reality. 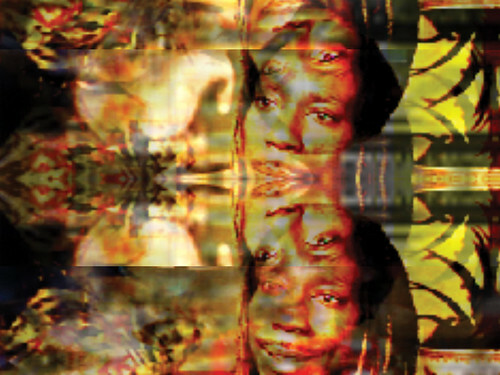 When media is layered and its message is splintered, we return its meaning to pure aesthetics. Cable news attempts to trick us with its dazzling display of graphical effects, but we can return the favor. Symmetries abound in the manipulation of broadcast media, a sacrilegious rendering and mental distortion. 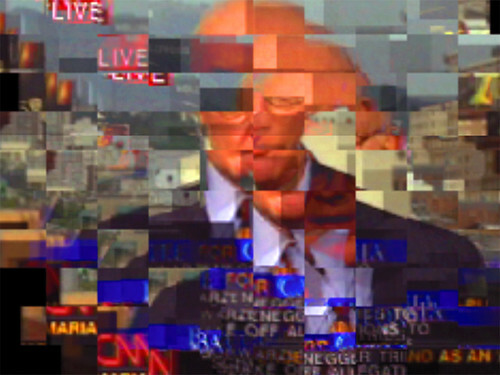 Within the coded messaging of Cable news lies cryptic, hieroglyphic, indecipherable narrative. We kneel at the alter of the broadcast, hypnotized and seduced by the effects of its message. If we can only find the right frequency, we can achieve a new silence. The deconstruction and repetition of the image is the leitmotif of the media culture. 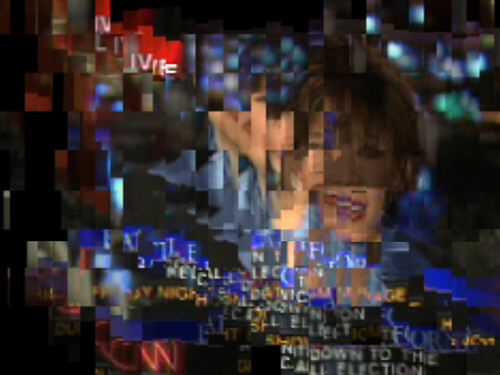 The future of media is in our ineffable desire to carry out its deconstruction, once and for all. Media and its deconstruction represents the great project of the 21st century, and the celebration of our detachment from its hypnosis. As we reshape the trajectory of the information highway, we are reminded of what lies at the end of the road. The only solution to the corruption of media is to take it into your own hands. 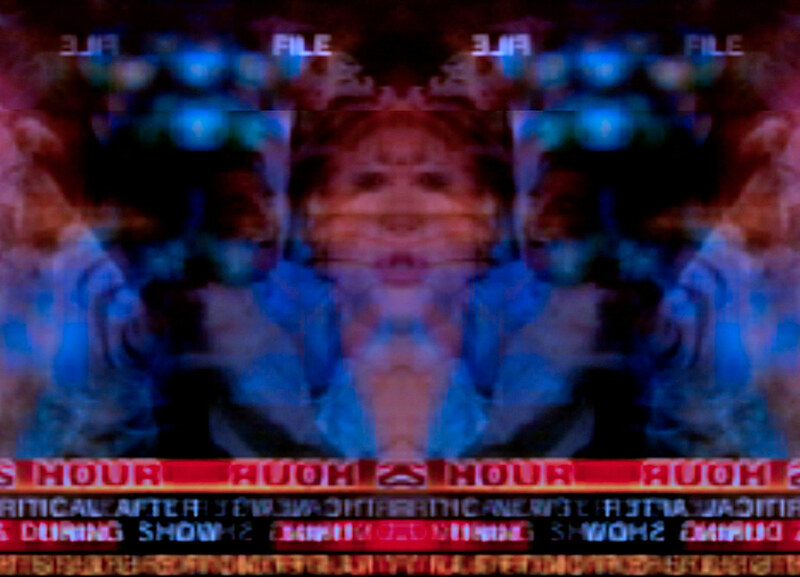 This remix was an appropriation and remix of CNN election night coverage on November 4, 2004, when George W. Bush was re-elected.